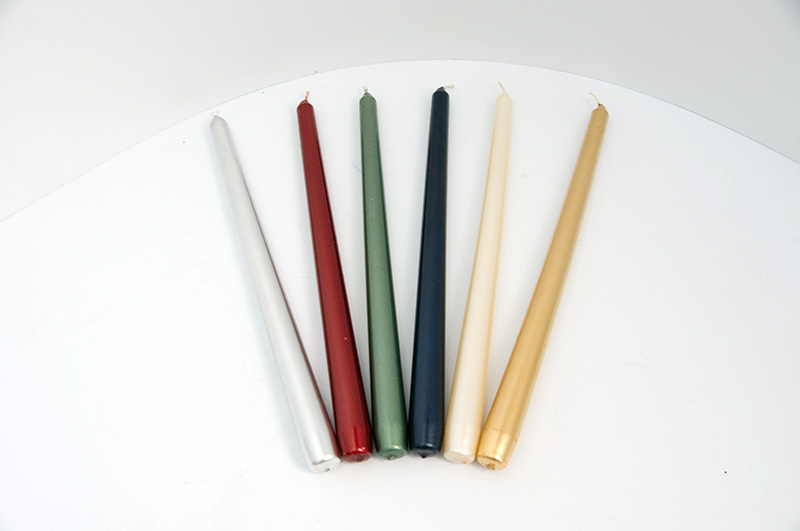 These taper candles are coated with a beautiful metalic finish. They add a touch of elegance to any gathering!. 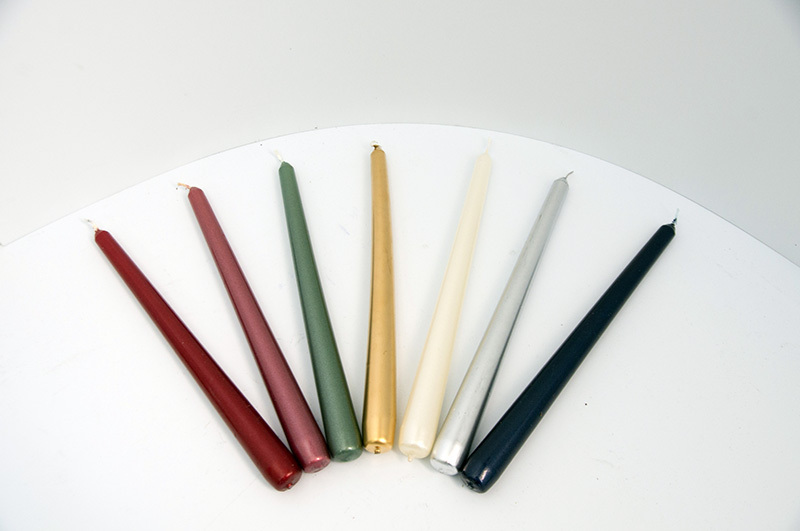 Avialable in an assortment of colors. Holder not included.